Comprehensive training Plans for all things Triathlon. Luke Dragstra is an Ex-pro Triathlete who has trained and raced around the world in many different programs and alongside some of the best athletes in the world. 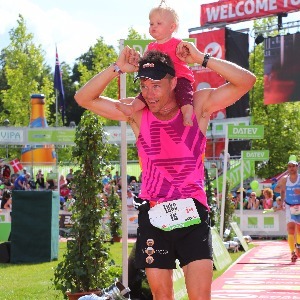 Luke is now based near Kalmar - the Ironman Capital of Sweden and has been coaching a local squad as well as several online athletes for several years. He continues to train (often wiht his athletes) alongside the coaching and understands the difference between full-time pro-level training and getting the most of out of an amateur training regiment limited by work, family and other obligations. He has had trememdous success and has relative newbie triathletes finishing top 5-10 in their age group at Ironman and half Ironman events. I prefer athletes to use Power meters, but I take all levels. I can take a limited number of Weekly program athletes but a bigger number of Monthly based ones. Success. Coach Luke Dragstra has been notified of your message.